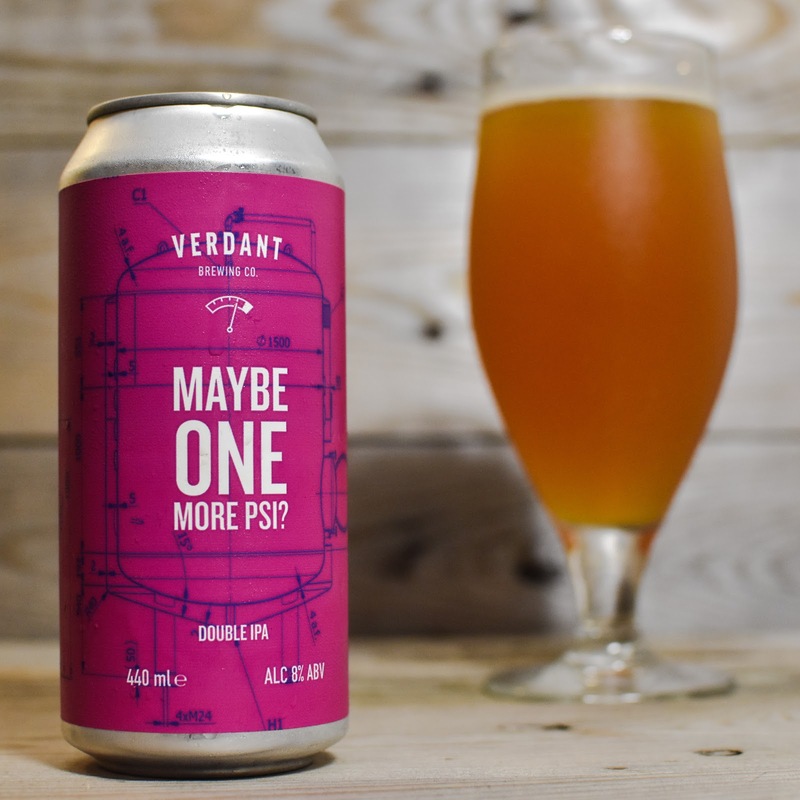 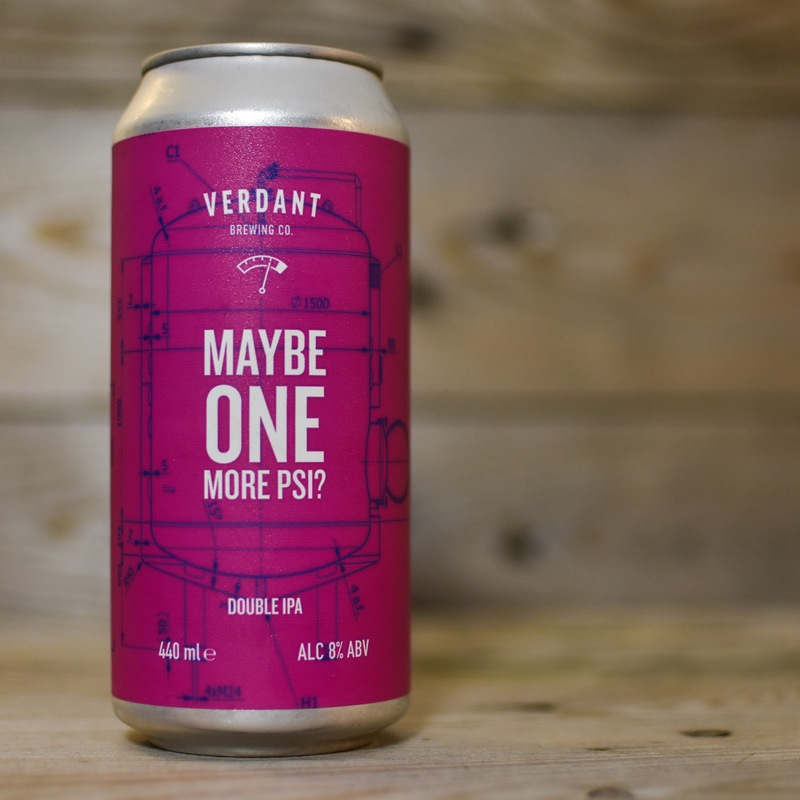 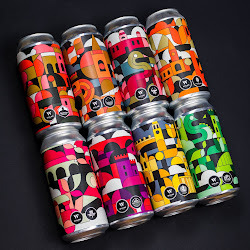 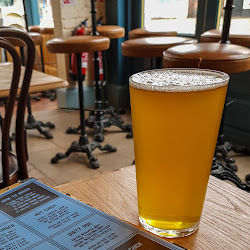 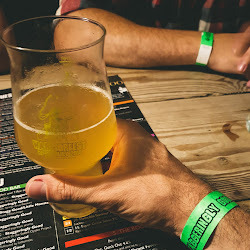 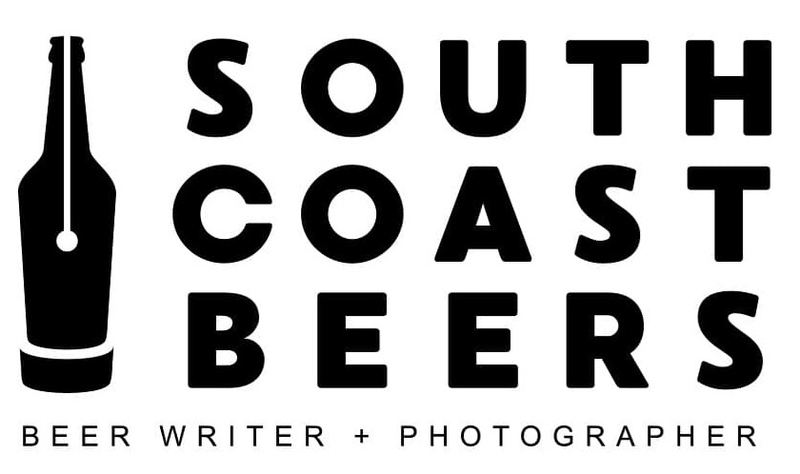 There can be no doubting that Verdant are one of the form British breweries right now, dropping hazy hop bombs that have sent shockwaves around the craft beer world. 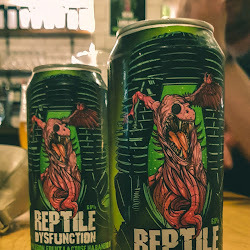 In 2017 alone I have enjoyed Pulp, High Level Kink, Even Sharks Need Water and last but definitely not least Putty... which is one of the best DIPAs I've ever had. 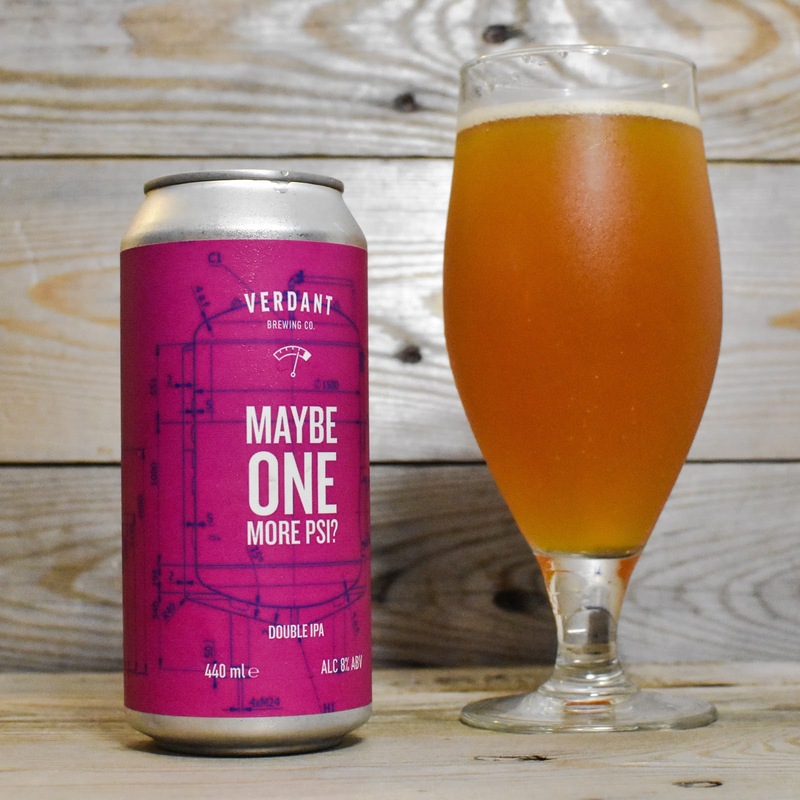 So next up is Maybe One More PSI, another DIPA from the genius Cornish pixies and it's another great beer. 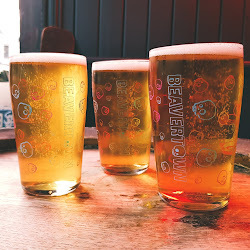 It has an appealing hazy orange appearance, almost marmalade like in colour, and a lively white head that offers some lacing. The nose is full of apricot, mango, pithy grapefruit and resinous pine. 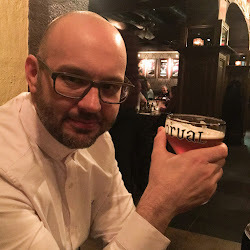 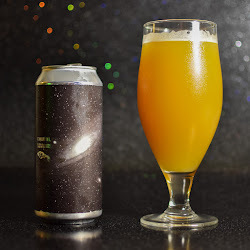 When you first sip it the dominant flavour is sweet fresh orange and apricot but appropriately for the appearance, it then becomes more akin to a bitter sticky marmalade, with that pithy citrus rind coming through strongly from the nose, along with a dollop of pine resin. 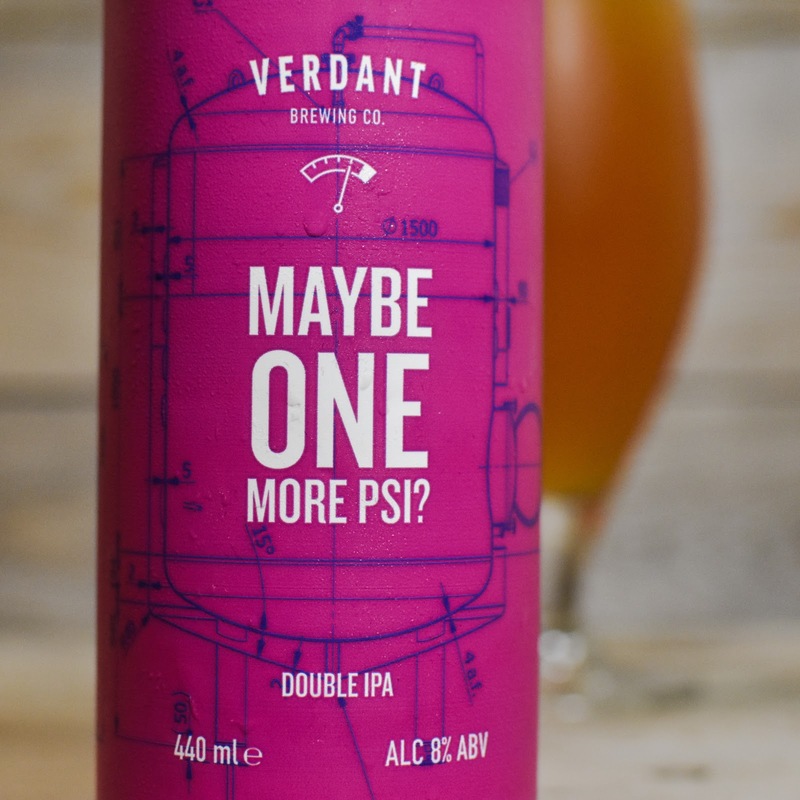 Then on the finish there's a warmth which seems to come both from the fresh hops and the hefty ABV. 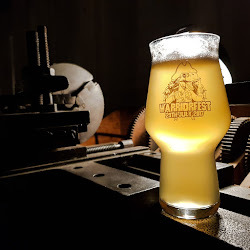 Maybe One More PSI is not as balanced as Putty, and is possibly a little more 'in your face' thanks to the punchy flavours but that is no bad thing. 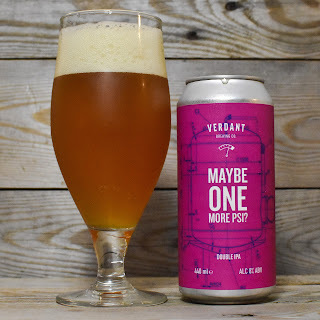 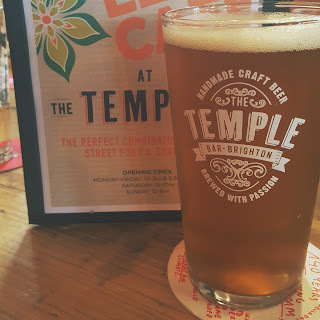 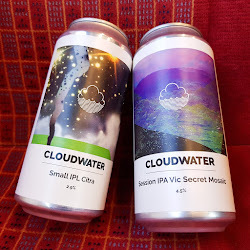 It's another great DIPA from Verdant and offers an alternative to any drinkers who need more that pure tropical fruit juice bombs to tickle their palate.